Inspiration for intentional living, simplicity and minimalism. Towels. They were everywhere. Bath towels, hand towels, fingertip towels, wash cloths, beach towels and dish towels. There were the ‘nice’ towels for guests, the not-so-nice towels for cleaning up messes and towels stuffed under the kitchen sink with holes in them waiting to be cut up for use as cleaning rags. I was doing one to two loads of TOWEL laundry a day. Yes, each day. Between my husband, myself and our three children, we used 5 towels a day for showering, assuming we only showered once (our family likes showers), and at least three kitchen towels a day for drying hands and faces, as well as wash cloths and fingertip towels and any others we may have used for random purposes. One day, it finally got to me. There had to be more to life than the endless washing, drying, folding and putting away of towels. Then, I came across the concept of minimalism through ZenHabits. That oh-so-wise man Leo Babauta gave me permission to give myself permission to let go…of all those towels. So I did. At first, it was just the bath towels. We went from 30 plus bath towels to ten, two to a person to be exact. I told everyone I would not be washing their towels after every single use, but every few days. Lo and behold, everyone started hanging their towels up after showering instead of throwing them in a soggy pile on the bathroom floor. After the success of the bath towels, I went crazy. I discarded all but four of our bathroom hand towels, kept only six washcloths and only five kitchen towels. I got rid of all of our ‘towels for messes’ and kept five dual-purpose towels that could be used for messes and during the summer for the beach. I was free! Eventually, I replaced all our towels with white, bleach-friendly ones, so I didn’t have to worry about colors bleeding or fading in the wash, and I could conveniently throw everything in together when needed. 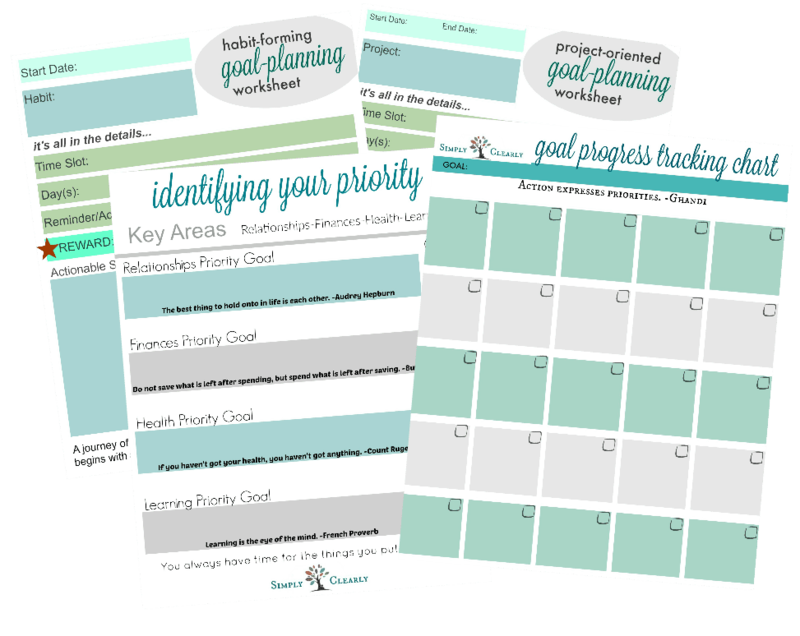 This first step of minimizing in my life gave me the experience and stress relief I needed to keep going and remove other items and eventually commitments and habits that were causing me anxiety and using my time and energy in ways that was not beneficial to either myself or my family. ~taking care of all my stuff in my spare time. ~working overtime to pay my credit card bills each month. ~saying ‘yes’ to every request that is made of me. ~thinking of ways I can have more money. ~being too busy and tired to cook dinner every night. ~being involved in so many things that I rarely spend time with those I love. ~buying things to make myself feel better. ~spending thousands of dollars that I don’t have on gifts at Christmas. ~keeping up with the Joneses. Is this a part of my life because I have made the choice to include it, or is it something beyond my control? What would happen if I reduced or eliminated this from my life altogether? Is this really necessary and/or essential in my life? Does this contribute to my overall happiness and wellbeing and the happiness of those I care about? Am I holding onto this for reasons that boost my ego? 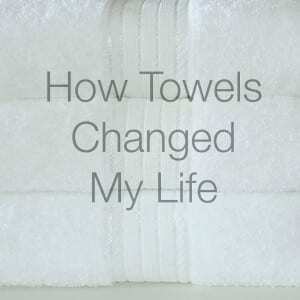 Without realizing it, I answered all these questions when I finally got ‘fed up’ with our family’s infatuation with towels. I realized it was primarily my choice to purchase that many towels to begin with. I also knew that number of towels was not necessary and would only reduce my stress by getting rid of a large amount of them. I also knew that somewhere deep inside, having such an abundance of towels helped to stroke my ego of having ‘more than enough’. 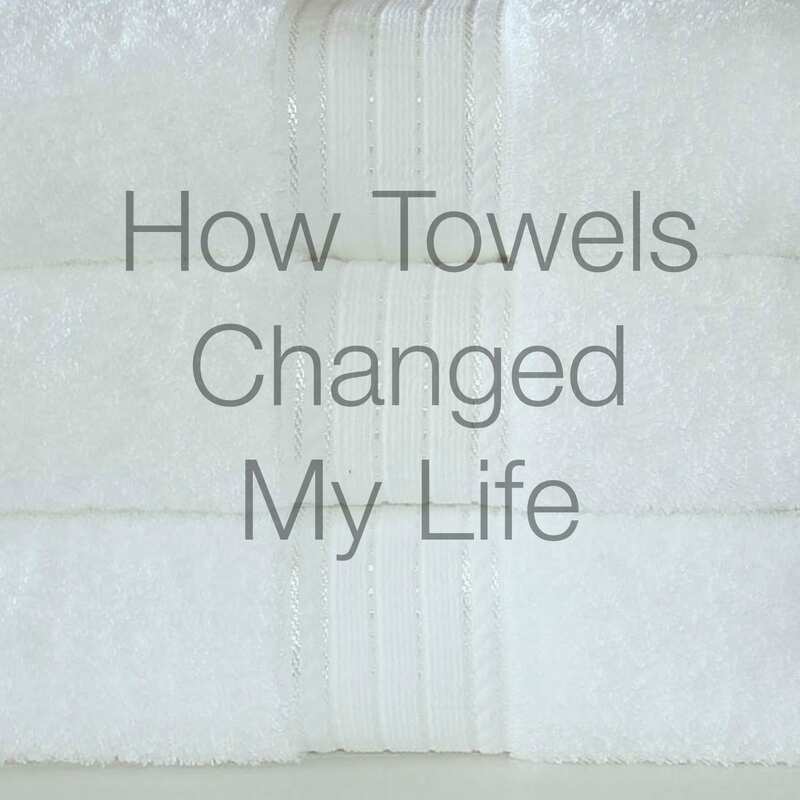 As silly as this may seem, I am talking about towels here after all, the impact it had on my life as the starting point of my simplifying was profound. It helped me grasp the concept of ‘less is more’, and start down the road of minimizing with a pretty inconsequential household item. I was also relieved of some light, but annoying daily stress, which in turn eventually allowed me to use the same tools when looking at simplifying other aspects of life. So, if you don’t mind sharing, what are, or have been the ‘towels’ in your life?